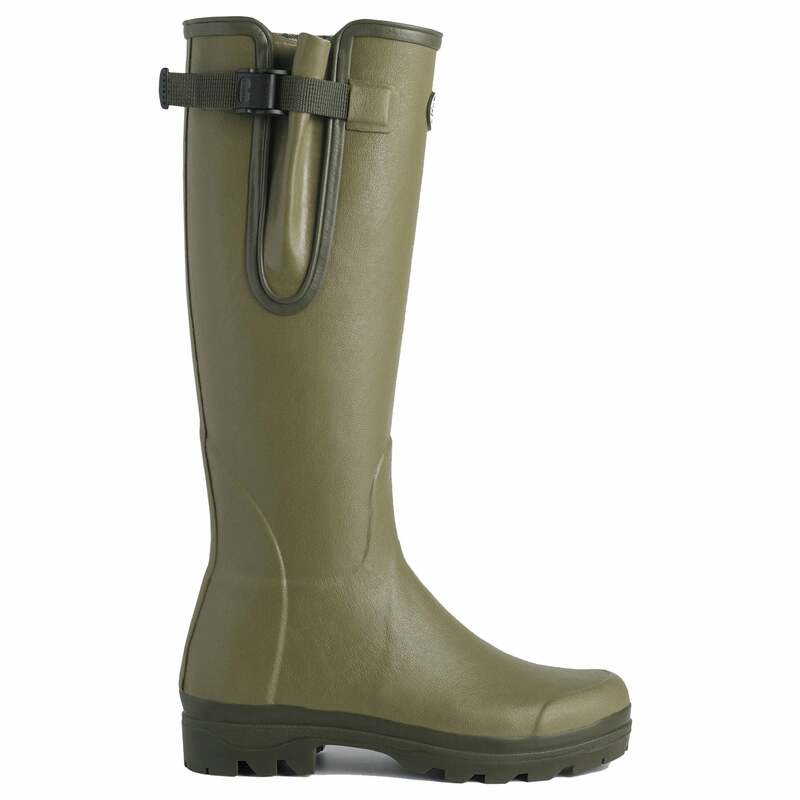 These Le Chameau Men's Vierzon Boots are great for warmer seasons, featuring a fast drying polycotton, jersey lining to help keep your feet cool and comfortable down to 0°C. The combination of natural rubber and jersey allows these boots to flex easily while the dual density grip sole absorbs shock and has a shank reinforcement board for better stability and arch support. These Le Chameau Mens Vierzon Boots have abrasion-resistant outsoles offering sure-foot traction on uneven, slippery and muddy soft terrain.